Think you can't afford a property management leasing call center? That is what I used to think, too. After running a Property Management company myself for 30 years, I though the option of having others answer our leasing calls was just too pricy. After discovering the number of leasing calls we were missing, we knew we needed help answering the phone. 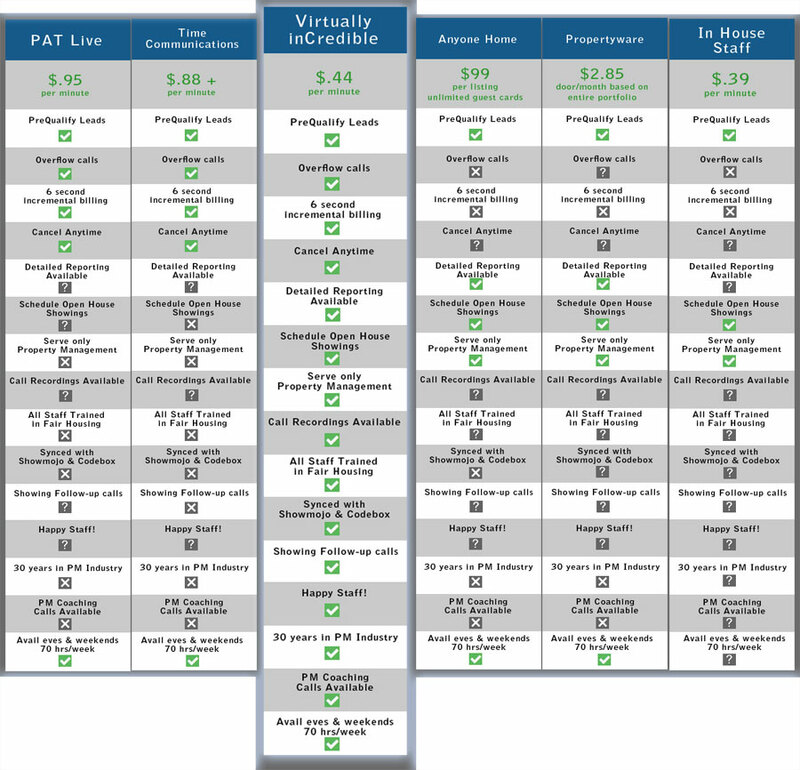 Take a look at the chart below and you will see how our Leasing Line Service compares with other answering services as well as property management specific answering services. Find out how our low cost, no commitment leasing line service, tailored specifically for the property management industry, can help you.